Santa Marta Haze Autoflower is a THC rich autoflowering Haze variety which is very easy to grow. 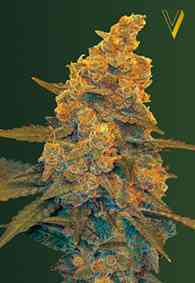 The genetics come from Amnesia Haze x Santa Marta, which is a Columbian jungle Haze. 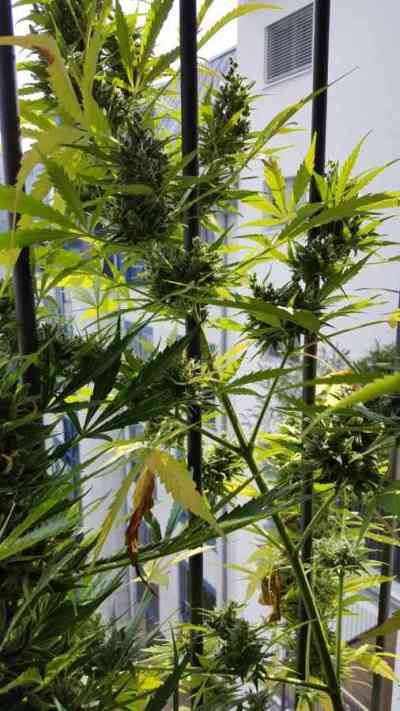 This autoflowering version takes around 75 days from seed to harvest and grows well under 20 hours of daily light indoors, reaching around a metre tall. Outdoor she takes 90-100 days. The buds have a sparkling resinous appearance and deliver an exceptionally powerful and long lasting psychedelic Haze high with a fresh, fruity and pine aroma. It’s an easy and uncomplicated variety to grow with THC levels over 20%. Yields are very high on this variety, but most repeat growers love her for the top quality high.